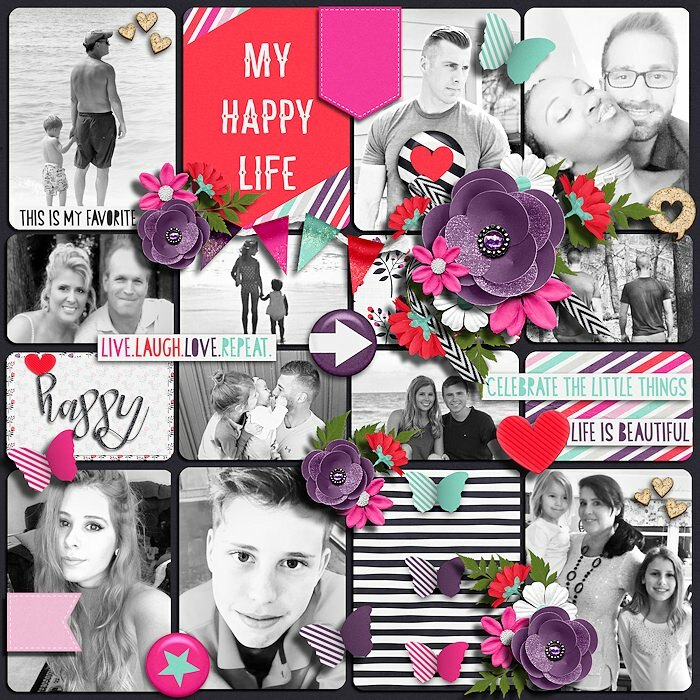 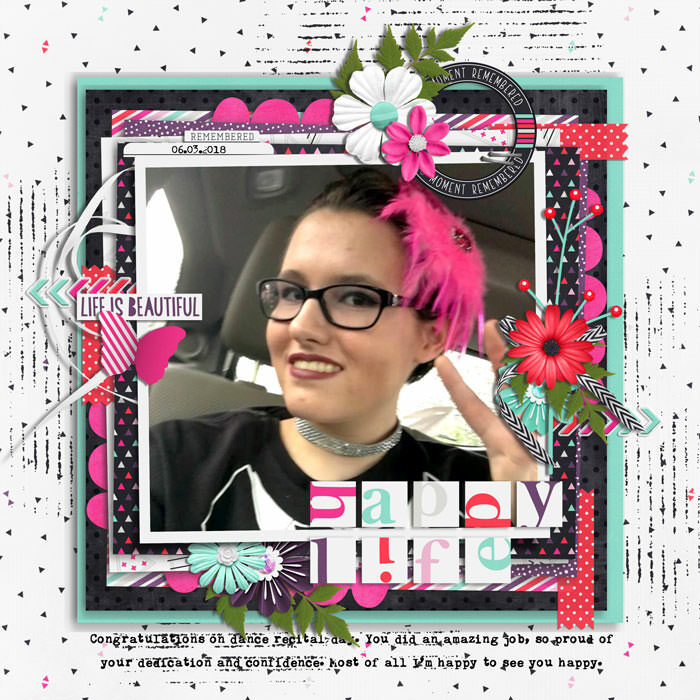 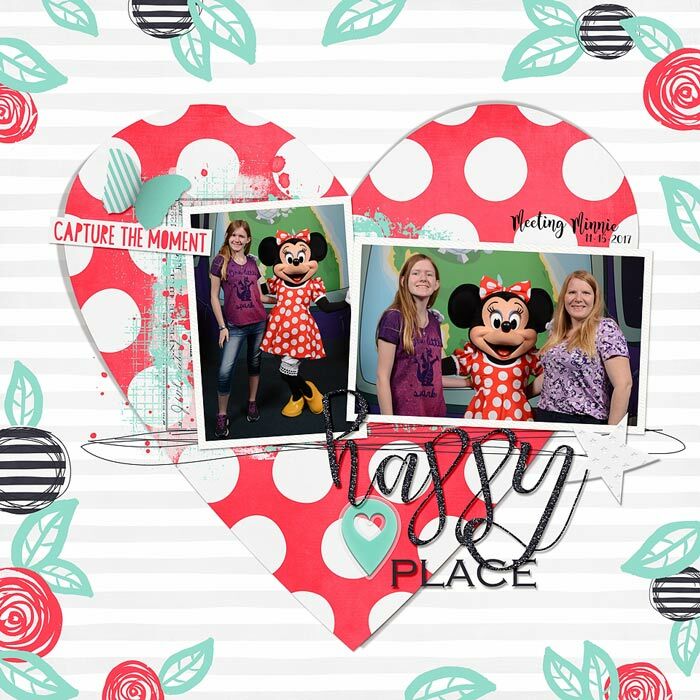 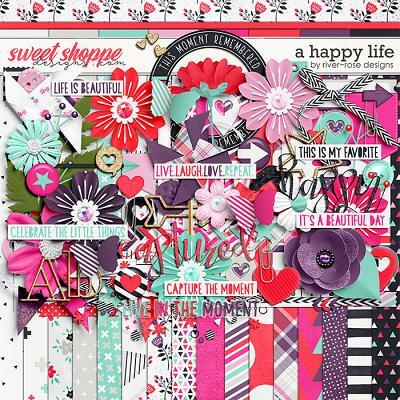 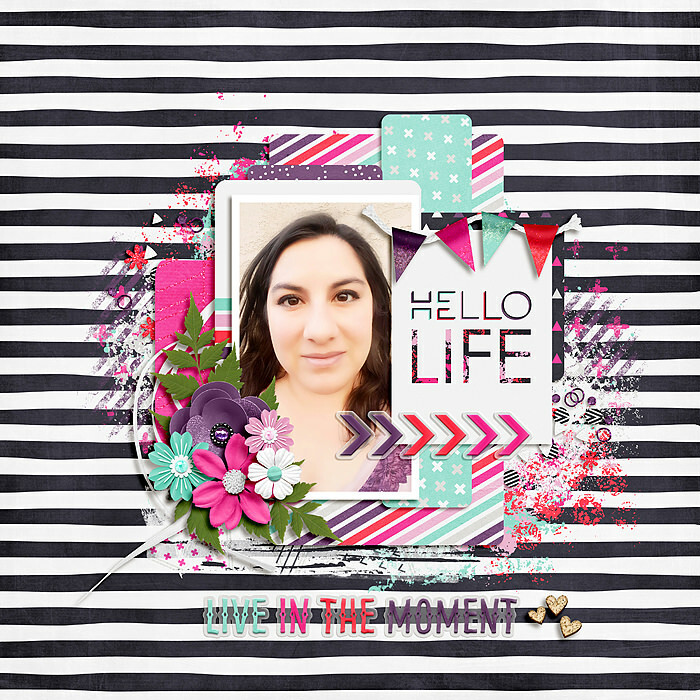 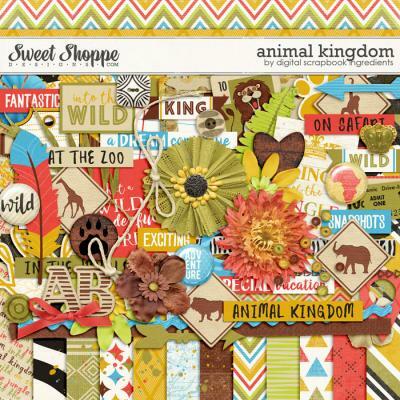 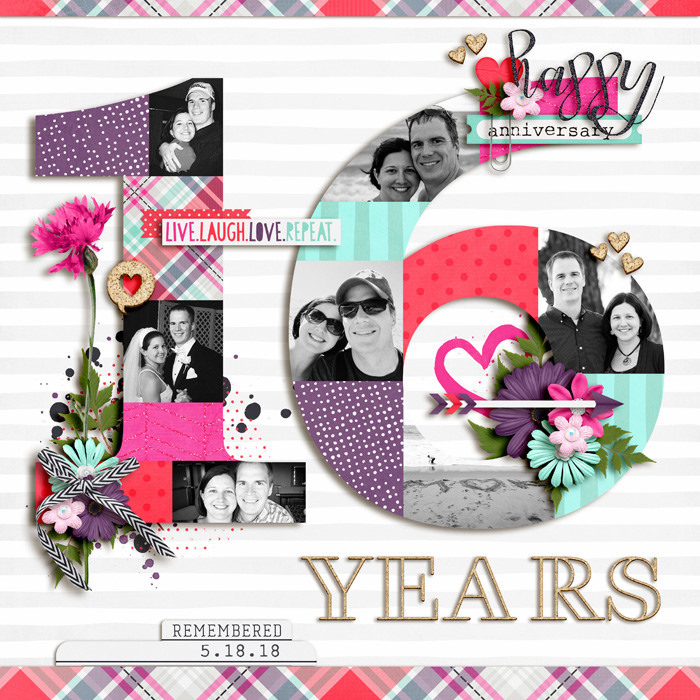 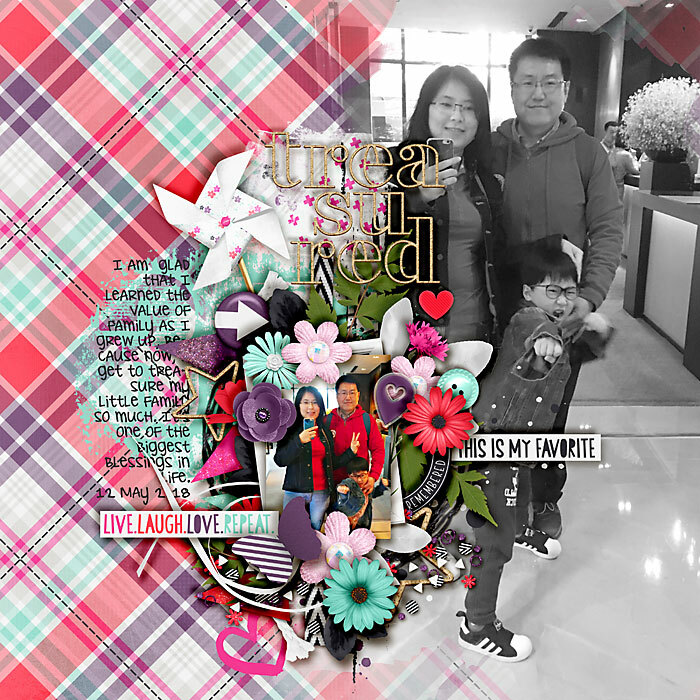 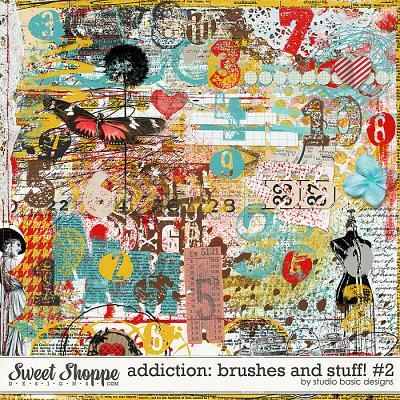 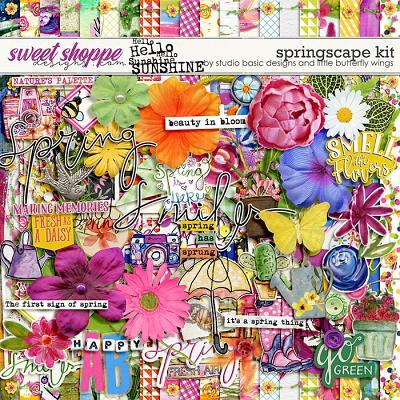 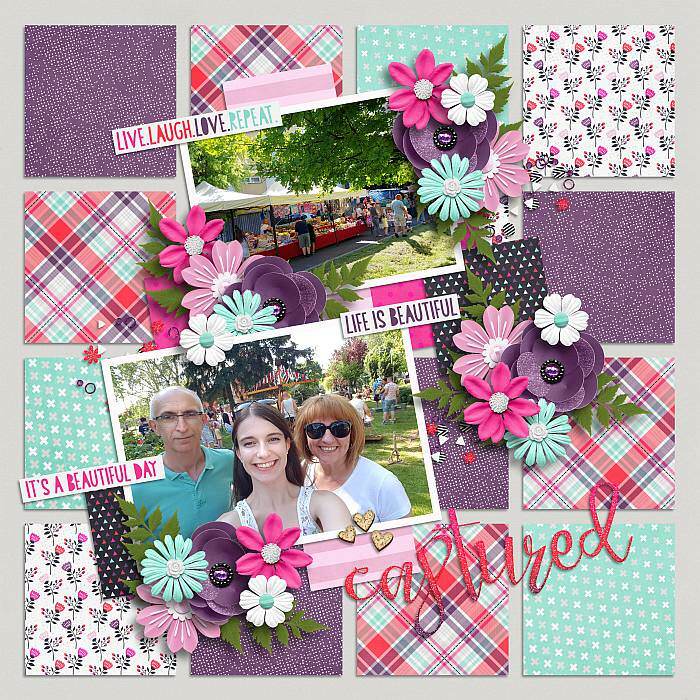 A digital scrapbook collection by River Rose Designs, A Happy Life has everything that you need to scrap the beautiful moments in your life. 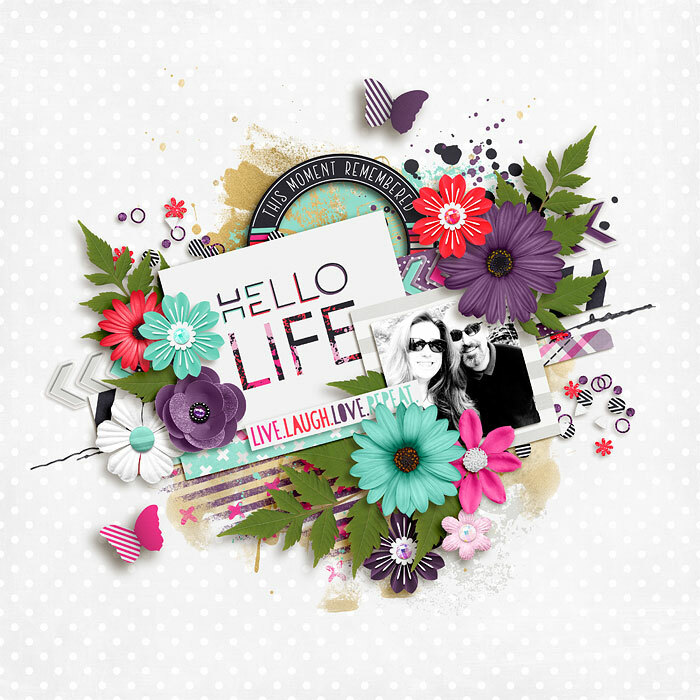 With its bright and happy colors, A Happy Life will inspire you to live each moment with joy. 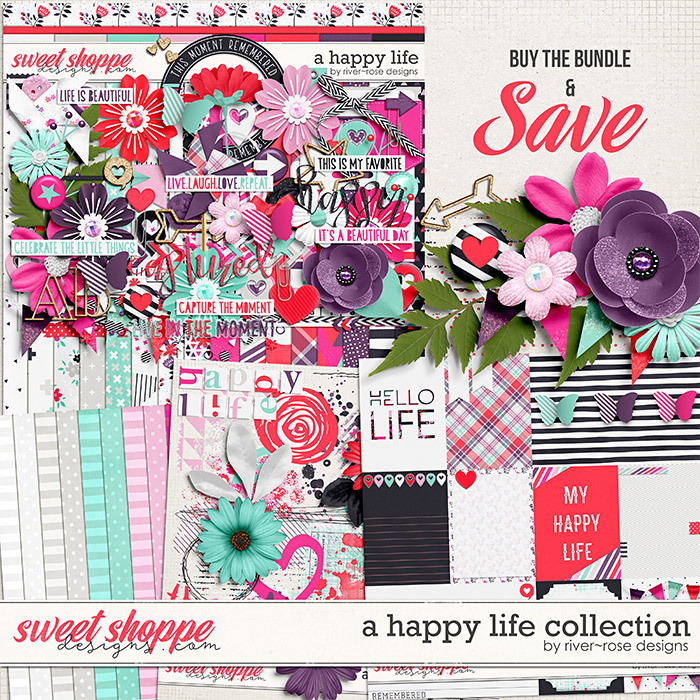 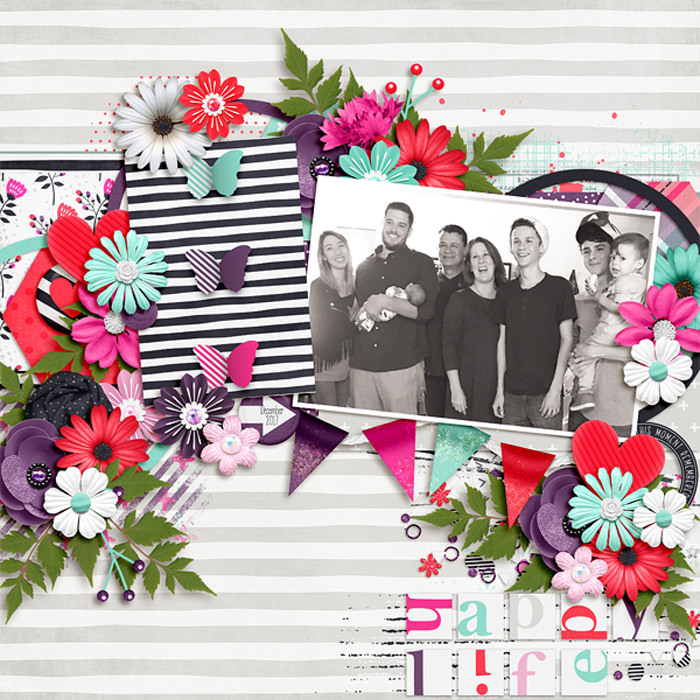 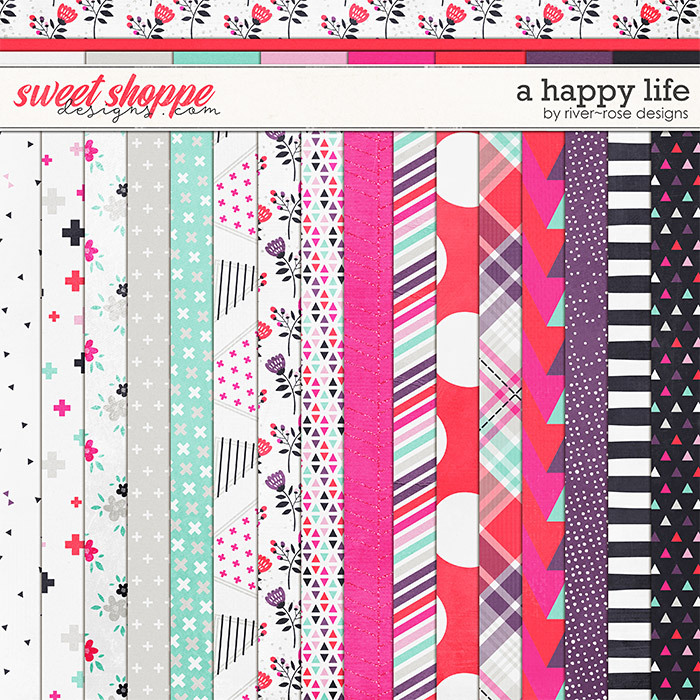 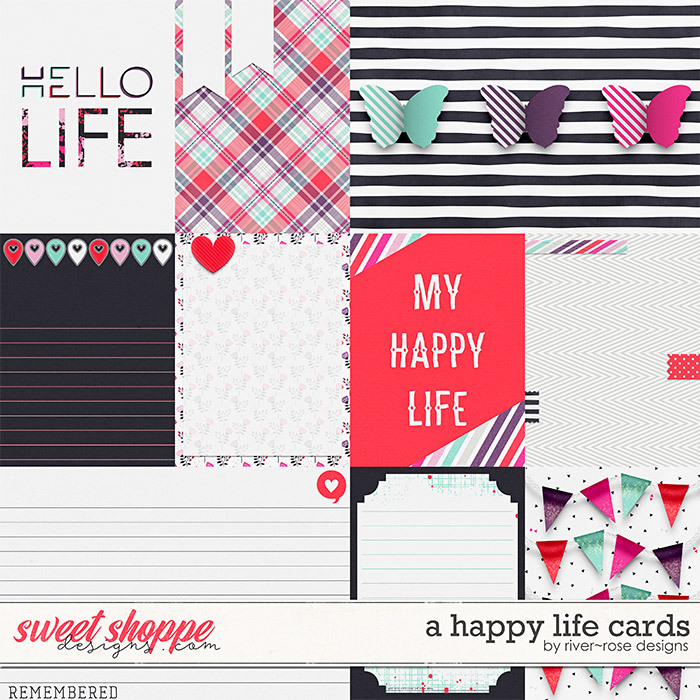 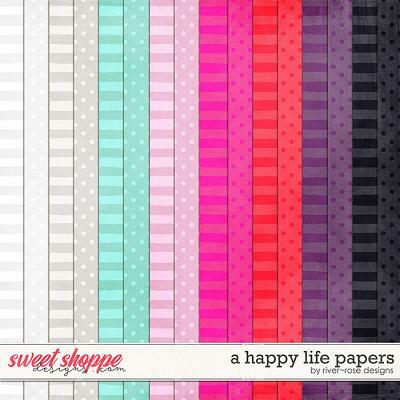 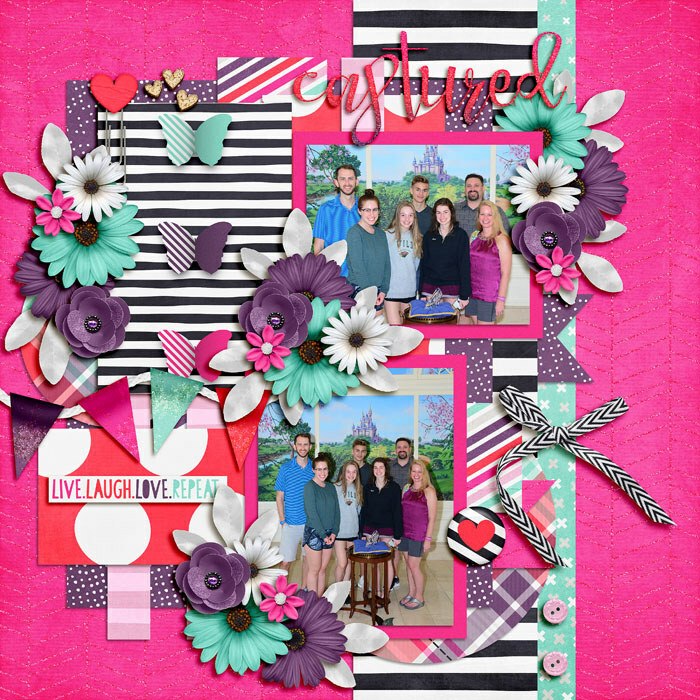 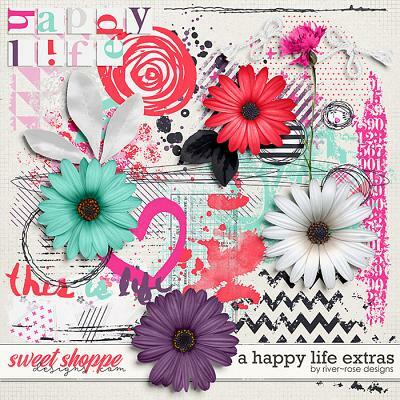 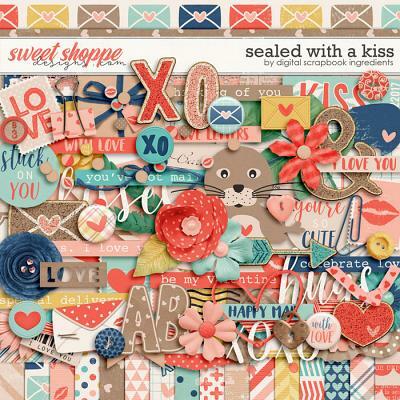 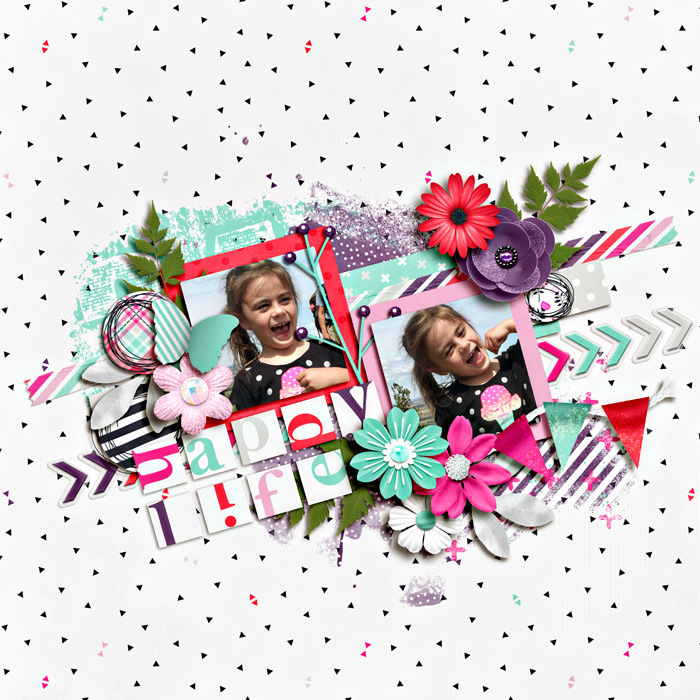 Collection includes A Happy Life Full Kit, Journal Cards Pack, Extra Papers pack and Extra Elements pack. 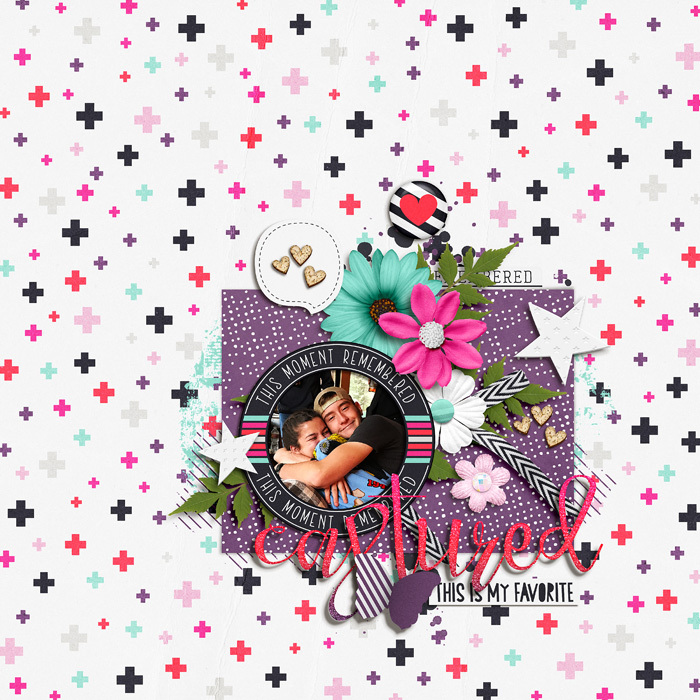 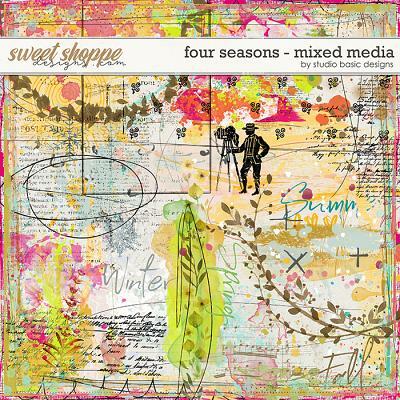 24 backgrounds (16 patterns and 8 solids), 83 elements including berries, butterflies, cork elements, geo tags, pinwheels, washi tape, word art and an assortment of beautiful flowers and foliage, plus a cork outline alpha in uppercase and lowercase letters with numbers 0 through 9 and special characters. 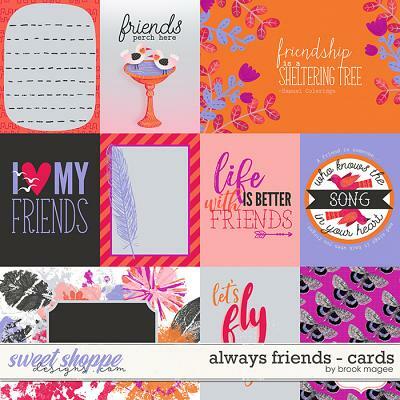 Journal Card pack includes 10 journal cards in both orientations (16 3x4 and 4 4x6). 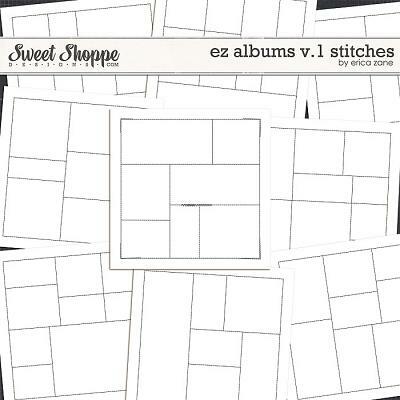 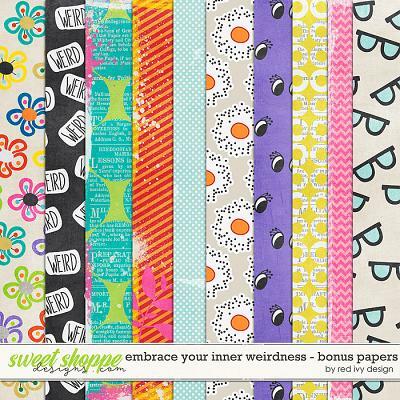 Extra Papers pack includes 16 backgrounds (8 stripes and 8 dots). 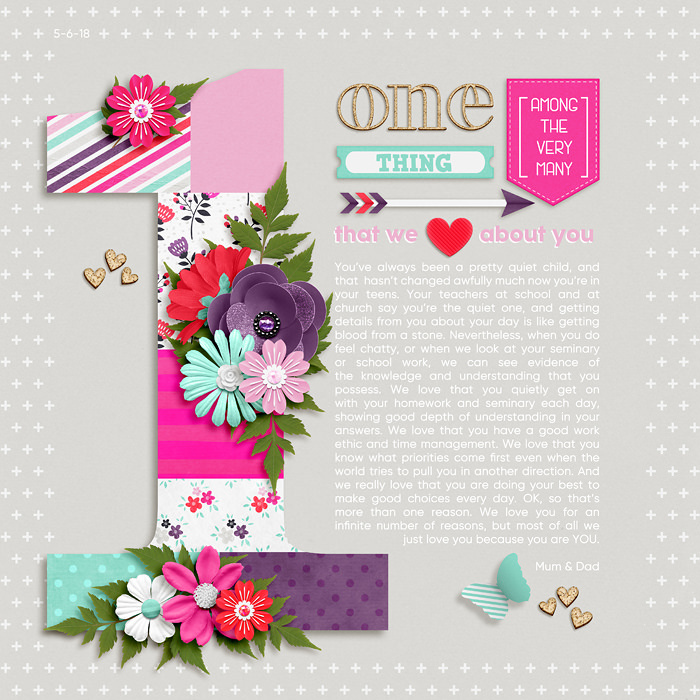 Extra Elements pack includes 30 elements including paint, word art, stitches, flowers, foliage and more.